come together to breath together-- to provide the world a healing image our planet and our people. Chi groups. 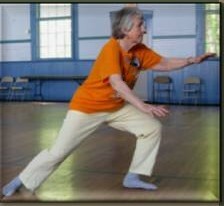 We participated in group exercises and learned some new jongs; and completed a full set of the 108 Moves of our Tai Chi Form of Moy Lin-Shin. 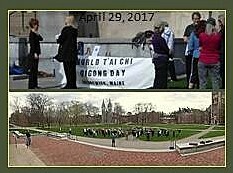 It was invigorating to be part of such a large group of Tai Chi folks who also showed off their own forms of Tai Chi. to be one of the fastest growing forms of exercise among Americans. 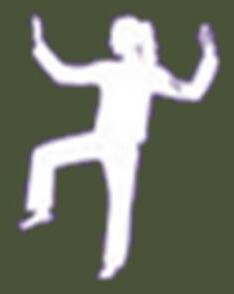 Tai Chi moves create a rhythmic pattern of movement that is coordinated with breathing to help you achieve a sense of inner calm. Each move flows into the next to provide you with a gentle and continuous motion workout. 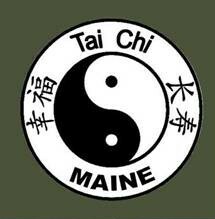 Click on the NIH logo below to read what the National Institutes of Health says about the benefits of Tai Chi. The research references on this page are meant to stimulate a discussion between you and your physician, not as medical advice. As always, consult your physician before beginning any new exercise program.